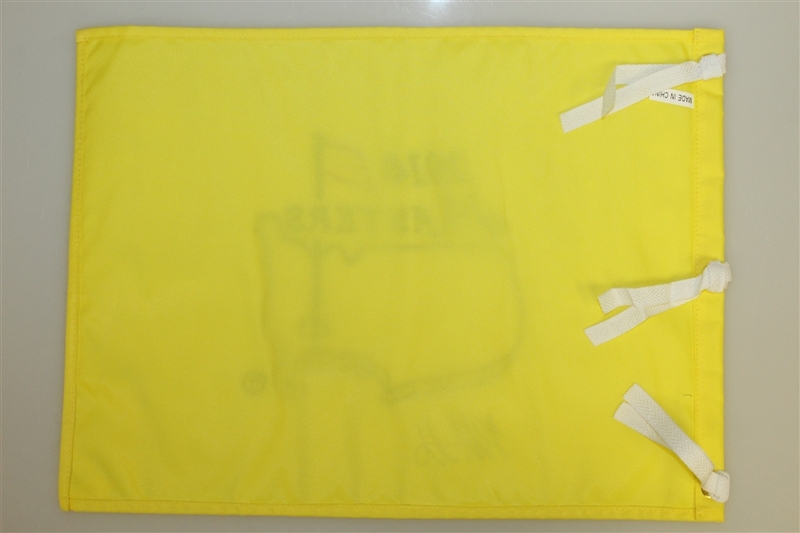 Presented here is a 2014 Masters Tournament embroidered flag signed by the winner Bubba Watson. 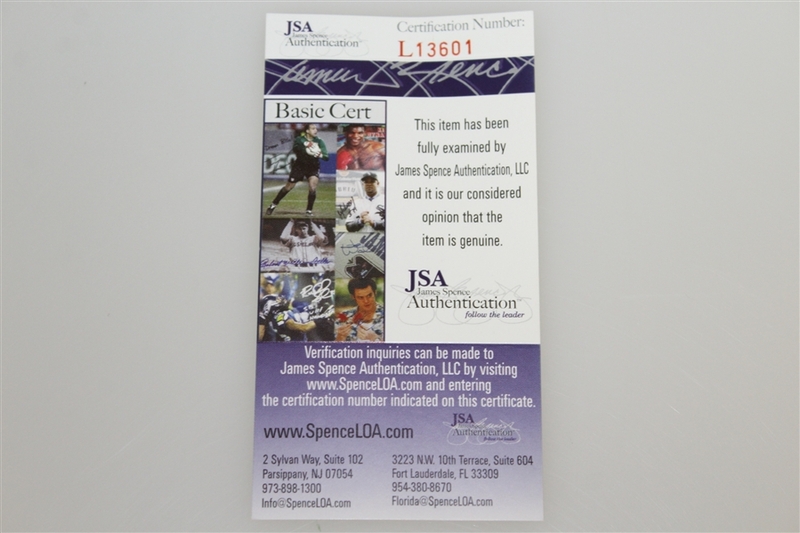 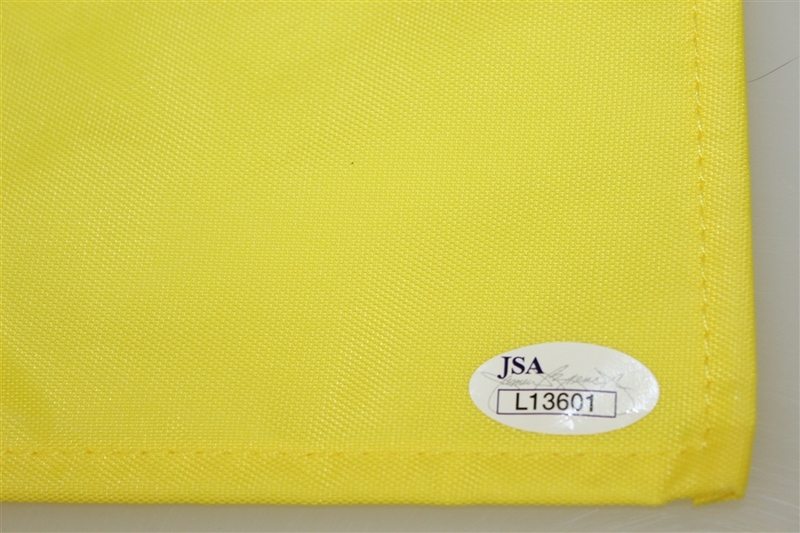 His signature comes with JSA authenticity #L13601. 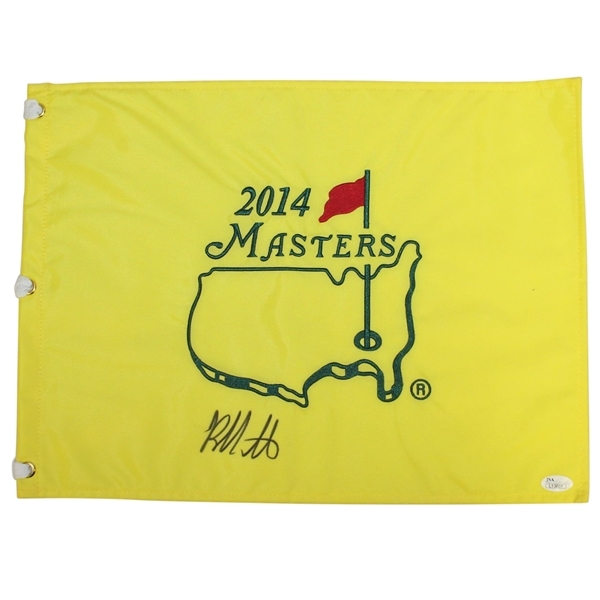 Continuing the dominance of left handed golfers at Augusta was passed on to Bubba Watson, winning his second green jacket in 2014. Bubba shot a 69 in the final round to defeat Jordan Spieth and Jonas Blixt tied for 2nd place.